Caterers provide food for parties, events and institutions. They can serve meals to 500 people in a banquet hall or deliver box lunches to a small business meeting. Caterers adapt to their clients’ needs in many ways. They may adjust menus for dietary considerations or offer equipment (refrigeration units, popcorn makers, etc.) for special event rental. Many factors go into operating a catering business, including customer service, sales and venue setup. A caterer provides hot or cold food to clients at a remote location. The business may cater in food that consists of hot gourmet meals prepared on-site, buffet food served in chafing dishes, or party platters of cheese, meats and snacks. Catering companies send servers, chefs and other employees to the site for black tie parties, conventions and other high-profile events. A small office party may only require cold food, beverages and furniture or equipment rental without catering employees on premises. A catering service may have its own cooks to prepare food, or it may obtain food from a contractor or third party to deliver to the client. For sit-down dining events, the service sends waiters, waitresses and busboys to prepare tables and serve meals. For buffets and informal parties, the caterer can send employees to set up chafing dishes, bowls and platters full of food, replenish them, and serve food to attendees. 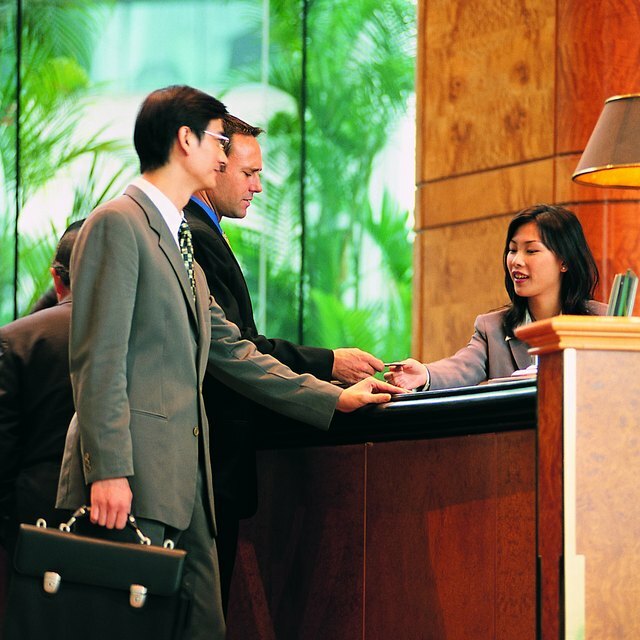 For banquet hall events and wedding receptions, a manager directs the wait staff and ancillary employees, such as coat check persons. Prior to the event, a sales representative helps the client choose food, venue and decorations within his price range and sets up the billing method. The client reviews an event proposal package with projected costs. Catering services usually require a deposit before the event. A full-service caterer handles all aspects of an event, such as a graduation party, wedding reception or corporate business dinner. A sales representative helps the client plan the menu, decorations and theme. The caterer hires cooks to prepare food according to the client’s wishes, sets up catering tables, decorations and lighting, and employs servers and bartenders. Full service caterers can also provide entertainment for the event. 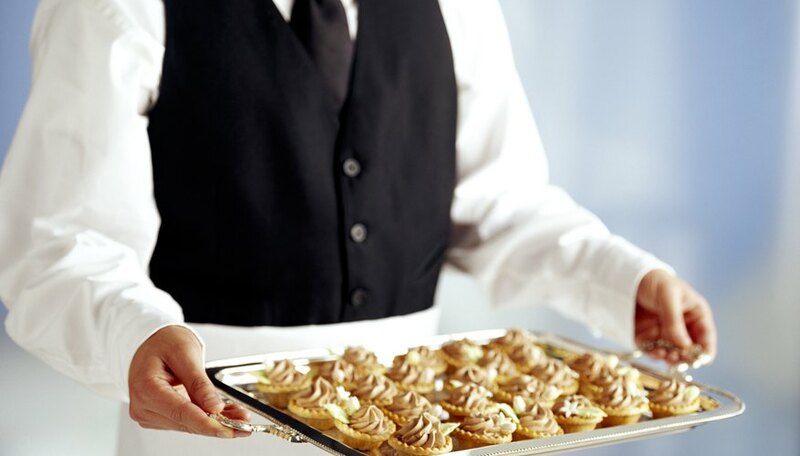 Full service caterers work in banquet halls, hotel ballrooms, schools, cruise ships, casinos and other venues at the client’s request. They charge per person fees for food and other services. Mobile caterers, which can include taco trucks or food carts, travel from place to place and serve sandwiches, drinks, burgers and other fare to customers in various neighborhoods. They must be licensed and inspected for health issues just like a restaurant. The type of food offered and hours of operation depend on the mobile caterer’s client base. Mobile catering trucks serve a variety of lunches and snacks to office and construction employees during daylight hours, while food carts cater to the public at large in high traffic areas, or station themselves outside concerts and other events. The least glamorous but most common type of caterer serves schools, prisons, employee cafeterias, commercial airlines and other everyday settings. Industrial caterers sell snacks, beverages and prepare simple meals. They hire food service employees to oversee and maintain supplies and equipment and serve food on the client’s property, usually on a regular schedule.